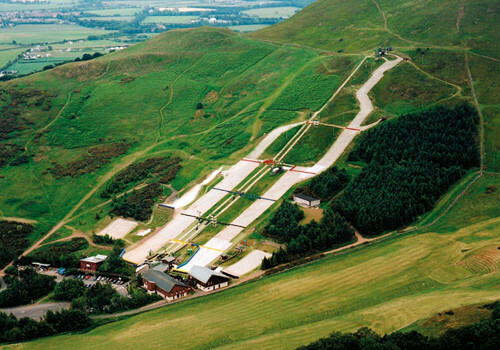 I wrote this opinion piece for a sports writer job application, but I decided to post it after reading news that Hillend, the dry-ski slope where I and countless other Scottish skiers learned, is facing closure in March; exactly the kind of thing that is at the heart of the wider malaise in British snow sports. It is an unfortunate paradox that in the same winter when British ski resorts have enjoyed one of the best seasons in recent times, the British Ski and Snowsport Federation (now Snowsports GB) has been forced into administration. While British snow sports have always struggled with funding, this dissolution of the governing body is a new low for the sports in this country, severely disrupting our athletes preparations for the Olympic Games in Vancouver. The money to medals ratio has never been worth much funding from the government, but Snowsports GB has performed admirably given its resources, with Alain Baxter’s (later disqualified) bronze medal in Salt Lake City 2002 a recent example of what can be achieved. In skiers like current British no.1 Chemmy Alcott, we have a genuine chance of competing in this and future games, but with the athletes and trainers forced to pay for accommodation and lift passes themselves – Alcott alone owes £20,000 for training camps she expected to be reimbursed for – they’re just not getting a level playing field. Despite Britain’s limited options for skiing and snowboarding, they are still incredibly popular sports in this country, with a disproportionate number of competitive athletes given the physical and financial resources. Just last week at the Winter X Games, British snowboarder, Jenny Jones, won a silver medal in the slopestyle, and whilst that event isn’t yet an Olympic discipline, Zoe Gilling’s will be competing in the snowboard-cross in Vancouver after an impressive bronze medal in the recent World Cup finals. After the resounding vote of no confidence from both Royal Bank of Scotland and the Government, the administrators in charge of British snow sports need to follow the success of the cycling team and provide a credible platform for the future if they want to attract new funding. Because with record numbers of people taking to the Scottish slopes this season, on snow that has rivalled any in the world at times, it would be a real shame if the next generation of skiing and snowboarding hopefuls don’t have the infrastructure or money to reach their potential.